UNESCO World Heritage | ¡VidaMaz! One of the key attractions of Mazatlán, beyond its incredible natural beauty and its amazingly friendly and resourceful people, is its food. We all love our ceviches, aguachiles, shrimp and fish in garlic or chile sauce or barbecued (zarandeado) over an open fire, our pollo a la plaza. Thus, I was eager to attend the presentation Thursday evening April 11th in the Gallery Peralta, “Cuisine and Culture of Sinaloa.” Though mis-named, the talk was quite interesting and focused primarily on the cuisine and culture of Mexico. It was organized by CULTURA Mazatlán as part of the initiative to formally include Mazatlán in UNESCO’s “Creative Cities Network” as a “city creative in gastronomy,” a decision that will be taken during meetings in November. The main speaker for the evening was Maestro José (Pepe) N. Iturriaga, who was introduced by Maestro Jaime Félix Pico, President of the Gastronomic Conservatory of Sinaloa (Conservatorio Gastronómico de Sinaloa A.C.) as the “foremost professor of gastronomy in Mexico.” According to Félix Pico, Mazatlán “has met all the conditions to be formally included in the Network of UNESCO Creative Cities.” Our entering the ranks of the 180 cities that have identified creativity as a strategic factor for sustainable urban development, would, indeed, be welcome news. Iturriaga seemed a bit confused about where to begin his remarks, rambling and repeating himself for the first half hour. He explained that “we are what we eat;” that food is a key part of Mexicans’ national identity—way beyond just a method to gain nutrition; and that what makes Mexican cuisine unique is our triumvirate culinary staple: corn, beans and chile. He told the audience that other Latin countries also eat corn and beans but asserted that chile is unique to Mexico. Together this trilogy, according to Iturriaga, provides a very balanced diet. Beans are legumes with quality protein, very nutritious. Corn is a “cereal with carbs and a bit of unusable protein,” while chile is a fruit with vitamins and minerals but which also contains a substance that makes the nutrients of corn (protein, sugar, starch and fat) absorb better. Iturriaga has recently written a book that shares the title of this conference, Cocina y Cultura de Sinaloa. He reported that the book is to be published by UAS (Universidad Autónoma de Sinaloa) but has been languishing there unedited. Perhaps the lack of a book was the reason he seemed so lost as he started his presentation. At the conclusion of the evening, Maestro Papik Ramírez, Director of the Sinaloan Institute of Culture (Instituto Sinaloense de Cultura—ISIC), assured Iturriaga that his book would be edited soon by UAS and ISIC. Antigüedad: Mexican culinary tradition is antique. Corn was domesticated 8000 years ago from wild grass over a period of one to two centuries—thousands of years before the pyramids of Egypt were built. Continuidad: Mexican culinary culture has continuity and is an important part of the lives of people of all socioeconomic levels. It has no “high” and “low” cuisine. Even the richest Mexicans eat chilaquiles or enchiladas for breakfast, celebrate with a good mole, and pozole will be served in the wee hours at the most exclusive of wedding receptions. Mexican food is healthy and built huge empires; it is not a third world food, Iturriaga said, somewhat defensively. It is the food of kings as well as of the people. Actualidad: Mexican culinary culture is alive and well today, passed on from grandmothers and our mothers. We experience this long tradition in Mexican homes, as well as in fondas, mercados and street carts, within the country and in nearly every country worldwide. Mexican cuisine has great regional diversity, as well as great commonalty and shared tradition. According to Iturriaga, the over 30 million Mexicans residing in the USA typically share three cultural traits from their homeland: Mexican food, Mexican music, and the Virgen de Guadalupe. According to our speaker, other countries do not have cultural traditions around cuisine, an assertion to which I as an interculturalist take great exception. Iturriaga repeatedly emphasized that the USA, for example, “has no endemic cuisine or regional culinary traditions that are not imported.” While I greatly understand and empathize with his pride in Mexican culinary culture, his habitual effort to put down other world cuisines, including those of France and China, dumbfounded me. Mexico can be rightfully proud without insulting the cultures of others. He advised those attending that Mazatlán’s proposal to UNESCO should focus on the culture of Sinaloa’s gastronomy, not on the gastronomy per sé. UNESCO is a cultural, not a gastronomic, organization, and they will be interested in history, anthropology, ethnicity and literature surrounding our bid to join the Creative Cities Network. Mexico ranks fourth in the world for its biodiversity, after Brazil, Colombia and Indonesia. My research does not necessarily agree with this ranking, though the main point that Mexico is biologically a “megadiverse” country is very true. 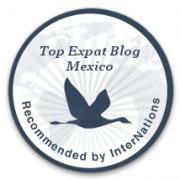 Mexico ranks second in the world for its cultural diversity, behind India and ahead of China. Iturriaga went on to explain that his ranking counts the number of currently spoken, living languages as a measurement. India, according to him, has 65, Mexico 62, and China 55. I love this idea, but again, as an interculturalist I cannot imagine where he got his data from; Ethnologue has very different statistics for living languages by country. I do agree that language is a solid litmus test of cultural diversity, as it’s fragile and very easy to lose, so is a sign of cultural cohesion and dynamism. Iturriaga said that 12% of Mexicans are indigenous, with the rest regional variations of mestizaje, mentioning Chinese, Japanese, Spanish, German and French. The key point is that there is a huge diversity of cultures within Mexico, particularly regional diversity. When you combine the diversity of its people with the biodiversity of its flora and fauna, Mexican cuisine has a huge natural advantage in this world. Yet another reason for Mexico to become a better steward of its natural resources as well as its people. Turning finally to the culture and cuisine of Sinaloa, Iturriaga explained that our long coast here in Sinaloa is one of our strengths, as it is in Veracruz. The Tropic of Cancer dissects Sinaloa and is an important climactic marker, adding to our biodiversity. The state has an incredible variation of climactic zones from east to west, mountains to ocean, also. Iturriaga said that 13% of our state is conifer forest, and our estuaries are natural (I would add quickly disappearing) aquariums. Sinaloa’s biodiversity reflects that of the country as a whole. Sinaloa is Mexico’s biggest producer of corn, tomato and shrimp—33% of the national production of the latter. Sinaloa is also an important producer of chile and beans. Referencing Sinaloa’s cultural diversity, Iturriaga said that in the 16th century there were 38 aboriginal groups in the area that now comprises Sinaloa. He went on to say that the Aztecs migrated from what is now Culiacán to Mexico City, another fact that sounds great but which my research shows as far from agreed-upon among academic experts. Most texts say the origins of the Aztecs are uncertain, though they did originate in northern Mexico. Mezcaltitán, just south of the modern-day Sinaloa state border, also claims to have been the original home of the Aztecs. Iturriaga told us that his upcoming book has a list of 30 fruits that are endemic and unique to Sinaloa, largely unknown outside our state. Very cool! “Tomato” comes from Nahautl, the Aztec language—tomatl. Where would world cuisine be without these wonderful, originating-in-Mexico pomodoros? Guajalotl, or in Spanish guajalote, turkey—what would Thanksgiving look like without this Mexican gift? Chocolatl, so important to the economies and culinary culture of Switzerland, Belgium and France, among many other countries. Not just chocolate but vanilla also originated in Mexico—a key ingredient in several national dishes worldwide. Finally, Iturriaga told us that 95% of the world’s chiles are Mexican. The popular habanero is not; it comes from the Amazon, but even bell peppers, from which Hungary’s famous paprika is ground, originate in Mexico. We wouldn’t have goulash, curry or Szechuan food without Mexico’s culinary contribution! Iturriaga concluded his formal remarks by talking about pre-Hispanic religious traditions. One of these included making idols of corn. He asserted that Mexicans may also have invented the practice of “communion,” now well-known in Roman Catholic and some other Christian churches, because pre-Hispanic priests would break up the cornmeal idols so that the community could share in the power and energy of the god represented by the idol. Tamales were and still remain a common religious offering. The Tarahumara (they prefer to be called Raramurí) make their beer—tesguino—from corn and then offer it to the four cardinal points. He went on to share with the audience that May 15th is the Day of San Isidro, Farmers’ Day; the cathedral in Culiacán has an altar to this saint and many people from the pueblo mestizo make offerings on that day, also bringing in seeds to bless before planting them. In conclusion, he assured us that gastronomy is cultural as well as religious. After the talk, CULTURA generously shared with those attending canapés and yellow squash tamales made the traditional way in Palos Blancos, El Rosario municipality. CULTURA stressed that in Sinaloa, from Teacapán to Los Mochis, from tamales barbones (shrimp tamales) to huacavaque (beef stew), we can see the fingerprints of pre-Hispanic Mexico and the mixing of the races, even in modern dishes that rely on technological production methods and a desire for innovation. All in all, I was glad I went downtown for the early evening. The talk was interesting, and I am happy to support this Creative Cities’ effort. If you are interested in learning to cook Sinaloan food in your home, you might wish to read about Doña Cuca’s cookbooks. 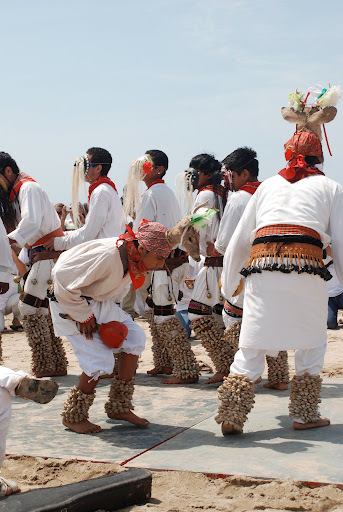 The spring equinox deer dances at UNESCO World Heritage site Las Labradas will be held on Thursday 21 March, 2013. Normally dances start at noon. You do not want to miss this exciting event! View photos, movie clips and a report about this event. The link-through also provides directions. Please contact Silvia Michel at SECTUR, 981-8883. She tells me that for 70 pesos the women in the village of Chicayota, at the entrance to Las Labradas, will serve you fresh tortillas hot off the comal, frijoles guisados en leña, goat cheese, ballusa, fish and other main dishes. Please support these terrific women who work so hard to support their local economy! Silvia tells me that this year there will not be a SECTUR bus, but that individual tour companies will have day trips to the event.